CHISINAU, Moldova — A new law prohibiting so called “homosexual propaganda,” similar to those recently enacted in Russia, has been adopted away from public scrutiny and entered into force in Moldova, a landlocked country in Eastern Europe located between Romania and the Ukraine. Offenders could be fined up to 8,000 Leu (about $628 USD), and businesses and non-government organizations could also receive a possible suspension of activities ranging from three months to a year. The bill was unusually omitted from a public consultation, and civil society was not informed of its deliberation. Last month, the European Commission stated that such anti-gay “propaganda” laws breached the European Convention on Human Rights, which is legally binding on Moldova. 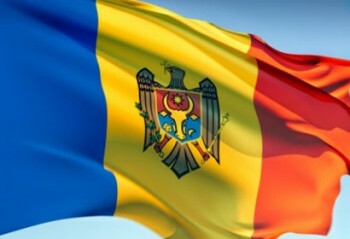 European lawmakers and human rights advocates sharply criticized Moldova’s adoption of the law. “I hope this law will be annulled soon as well. If it isn’t, it could cast a long shadow over Moldova’s visa liberalization process with the EU,” said Cornelissen. Martin K.I. Christensen, Co-Chair of ILGA-Europe advocacy group, sharply criticized Moldova: “We are shocked by such secretive adoption of a law which creates serious limitations to freedom of expression for LGBTI organizations and anyone referring to LGBTI issues and clearly discriminates on the grounds of sexual orientation. He added that if is not done, ILGA-Europe would call for the negotiations to be abolished.